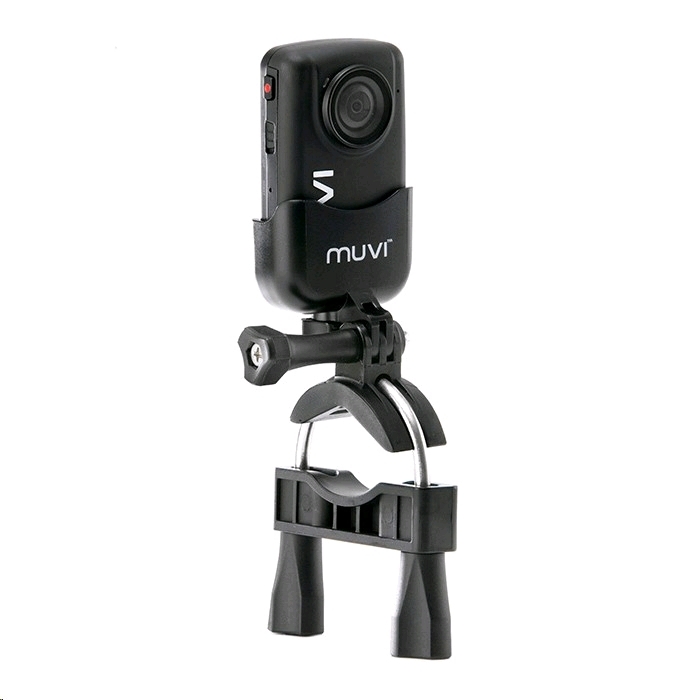 Attach your MUVI™ or MUVI™ HD camera to larger handle bars, roll bars, boat masts or any diameter tubes ranging from 16mm to 58mm. The large pole/bar mount is ideal for clamping almost anywhere and is completely compatible with the MUVI™ cradle mount that comes with your MUVI™ or MUVI™ HD camera or using with the tripod mount and waterproof case. The large pole/bar mount is perfect for mounting ski/surf/snowboard racks, roll cages/bars, bike handlebars and bike frames. 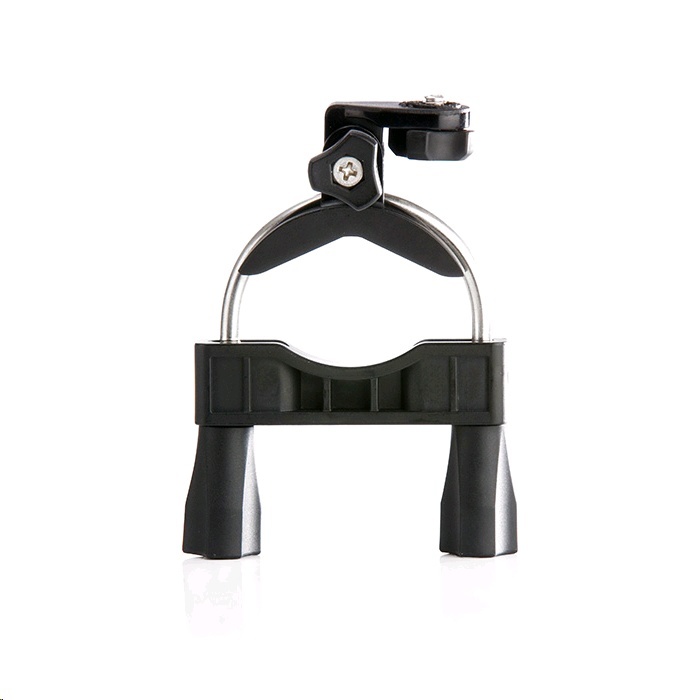 The large pole/bar mount ships with a tripod mount and 2 rubberised bands to help secure your mount and prevent damage so you can position your MUVI™ camera at any angle you want. 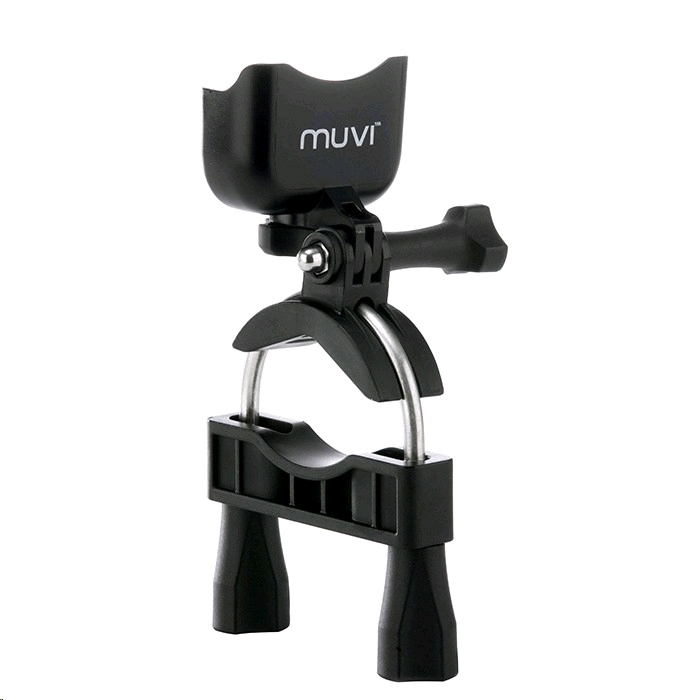 The MUVI™ large pole/bar mount is also compatible with any of the MUVI™ Waterproof Cases so is perfect for using in any weather conditions. - Strong robust redesign built to withstand hard and fast movements.